Luxurious Open Floor Cabin Interior Bedroom Design With Roaring.. Stock Photo, Picture And Royalty Free Image. Image 46050648. 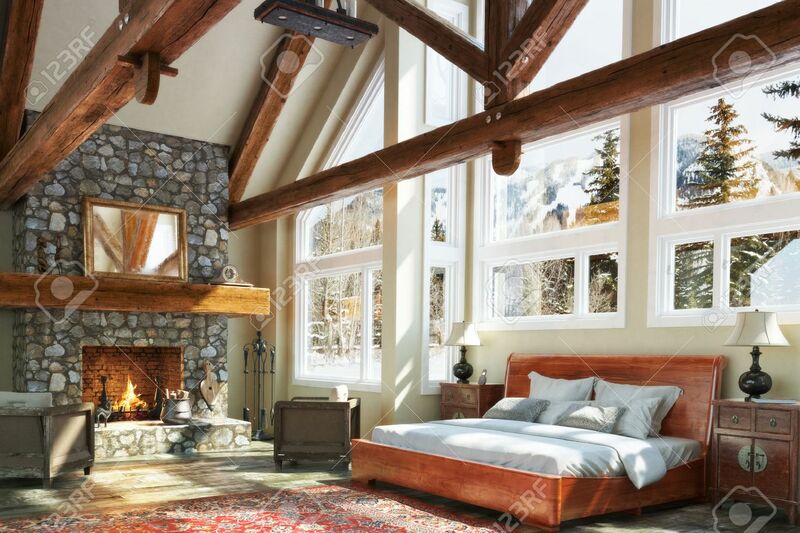 Stock Photo - Luxurious open floor cabin interior bedroom design with roaring fireplace and winter scenic background. Photo realistic 3d model scene.